We stock a range of microphones, and can provide a suitable microphone for most live music and live public address applications. Some of the microphones shown here are automatically included with our packaged PA systems (if they are not shown on a system's main page and you would like to hire them with that system, please let us know what you need). The industry standard vocal mic. 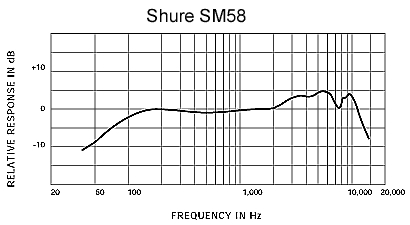 Robust, with low handling-noise and high resistsnce to feedback, it is easy to see why the SM58 is still preferred by many world-class performers. 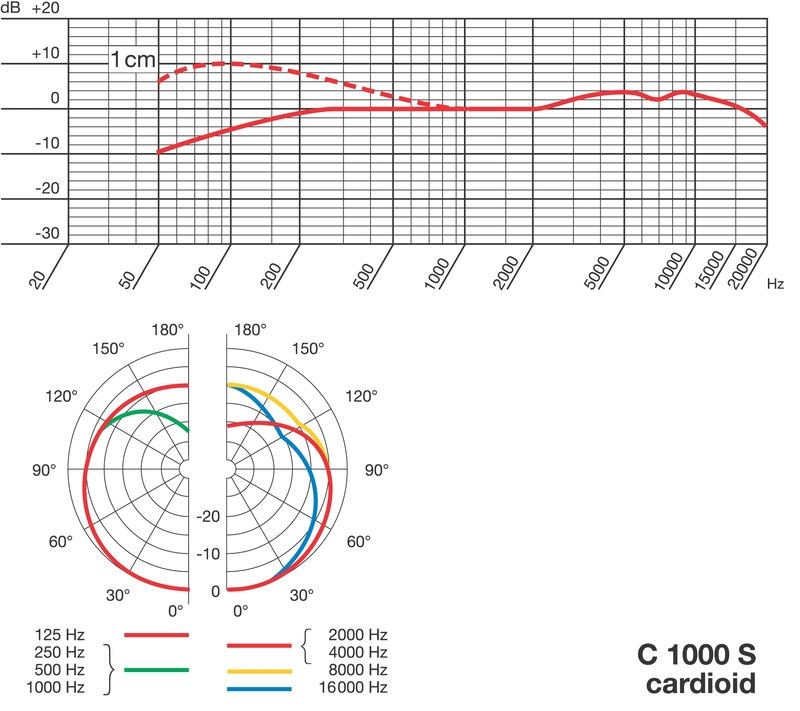 Updated (& improved) supercardioid version of the original SM58. 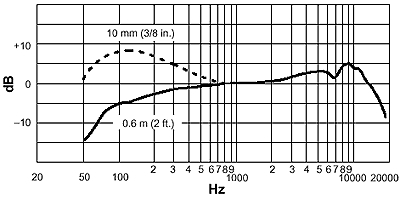 Its higher sensitivity and marginally greater upper-frequency range result in a microphone that sounds like a more transparent SM58. 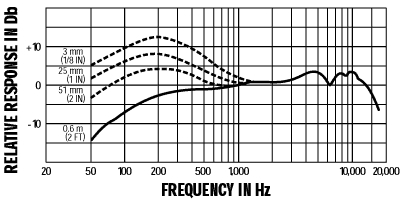 The Β87A is a high-quality condenser microphone specifically designed for vocals. 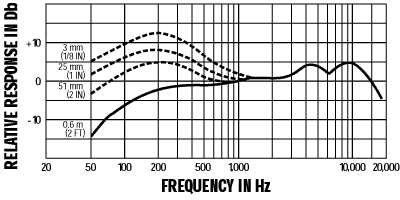 Its extended high-frequency response provides more detail and transparency than its dynamic stable-mates. Now superseded, the UD300 is a dynamic microphone originally designed as an alternative to the Shure SM58. With a similar response to the SM58 (but with a slightly smoother top-end), it works well with female vocals, as well as instruments. The original C3000 is a well-regarded condenser mic, with a clear top end (suiting acoustic instruments) and good low frequency response (for acoustic bass or piano). It can also handle very high sound pressure levels, making it suitable for drums or amplified instruments. It has switchable pattern, sensitivity (-10dB) and bass roll-off. 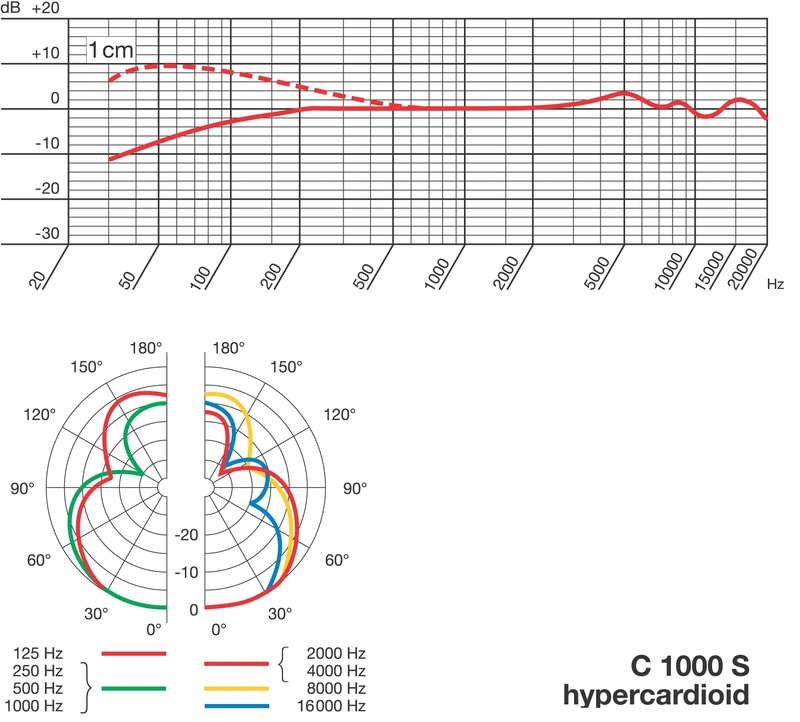 Updated (& improved) supercardioid version of the original SM57. The D112 is an industry-standard Kick-Drum microphone. The C418 is a specialised clip-on microphone, enabling microphone placement without obstructing the drummer or surrounding stage with stands. 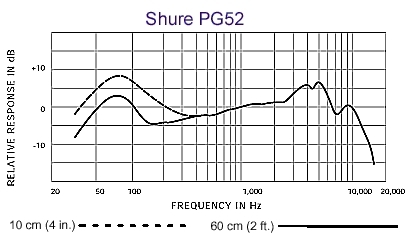 The PG52 is a modern Kick Drum microphone, modeled on Shure's Beta 52. 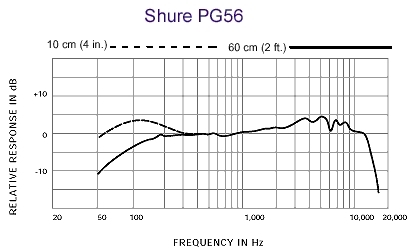 The PG56 is a compact snare/tom microphone (with a drum-mounting clip) modeled on Shure's Beta 56. This includes all the mics you need (with one mic for the hi-hat and a single overhead) for a 5-piece kit. The PGDMK4 contains mics for a 4-piece kit. Drums will usually require at least one other microphone (e.g. 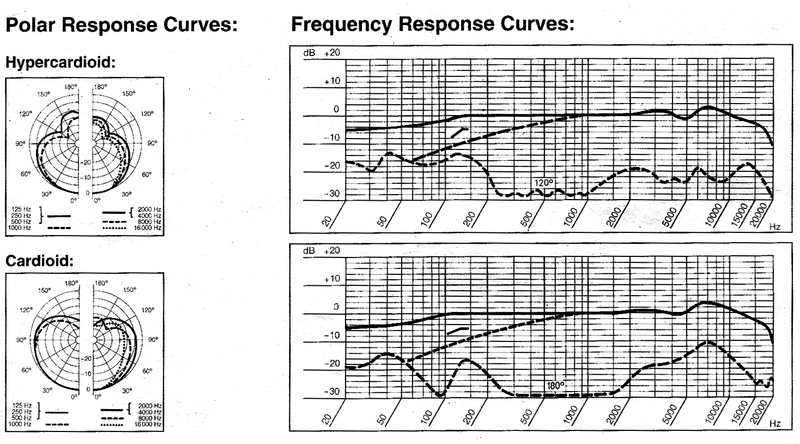 C1000S - see above) for the hi-hat. Another will be needed if more than one rack tom or floor tom are being used, and in larger venues further microphones may be needed as overheads. 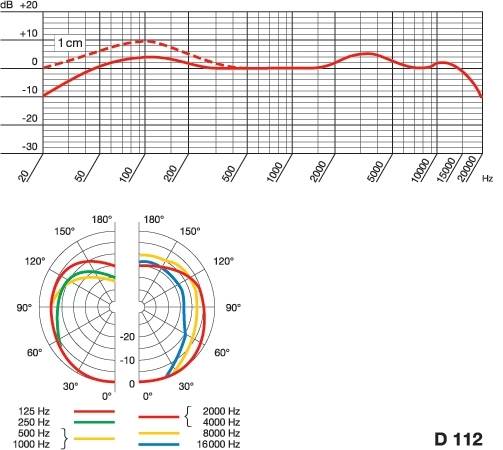 SK100 Bodypack transmitters with ME‑2 (omnidirectional) or ME‑4 (cardioid) lapel microphones, or ME‑3 (supercardioid) or Proel HCM23SE (omnidorectional) headset microphones. These can be hired with or without other hired equipment, and one or more are included without extra charge in our Announcement, Conference and Disco systems (see our prices page or specific system information for details). The SK100 G3 bodypack can be used with any of our headset or lapel microphones." The Rode NT1A is a large-diaphragm studio condenser with a very low noise-floor. Coupled with its natural and transparent sound and high SPL capability this makes it capable of producing very high quality recordings from a wide range of sources. We have a certified matched pair available for stereo location recording, or for studio applications (such as drum overheads). The Rode NT2A is a multi-pattern 1” dual-diaphragm studio condenser. With its SM6 shock-mount and pop-filter it an excellent choice for vocals, while its smooth but detailed high-frequency reproduction allows it equal success with acoustic instruments. Now discontinued, these are much sought-after on the second-hand market. They produce a very natural live recording, but can also work as drum overheads, on-stage mics (for foot-tapping or in-ear monitor fills), or even (with the backplate removed) as stick-on accordion mics. Ours have been adapted to use phantom power (so you get more headroom, and you don't need to worry about batteries). These miniature shotgun (AKA rifle) microphones have high off-axis sound rejection, and can be used equally well as lectern microphones or for distant location recording. A selection of mounting options allows them to be suspended, table-top mounted or clamped to a lectern, or use convention boom stands. We can provide other microphones (or more of the same) by negotiation. If you would prefer to use a different microphone or combination of microphones with any of our systems, please ask us.